Tag Archives for " BlogWorld Expo "
While great examples of well-read traditional blog publications will probably be with us for some time, the real growth in the future of blogging will come as content producers turn the content production and consumption behavior that blogs accelerated into the ultimate tool for sales conversion. So, you no longer need to think in terms of a blog as some extension of your website, but more in terms of blogging behavior and technology as the fundamental component of your content strategy. Websites owners are using blog software to turn their sites into highly engaging content management systems and that evolution will continue to pick up steam for every type of business in the near future. One of the real innovations in the content management approach will come in the delivery of the content. 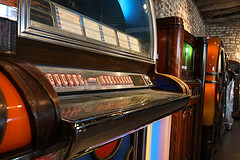 As the site owners move to a content strategy they will ask designers and programmers to create new navigation, search and presentation formats that allow consumers to call up content very much like a jukebox and follow paths of content based on their interest rather than site structure. Now that the market has developed a mature taste for blog style content, marketers will begin to wrap more commerce in the content. Educational content will contain product and service offerings as a natural flow of the conversion process. So, that’s my take on the future of blogging, but if you would like to get the thoughts of thousands of people highly immersed in the world of blogging, you should join me at this year’s BlogWorld Expo in Los Angeles – Nov 3-5. This is an amazing event that will make your head explode in a good way and I have a few free tickets to give to my readers. I have three freebies – 1 Full-Access Pass, 1 – 2-day Pass, and 1 Expo Pass. If you would like a chance at one of these passes, just finish this statement in the comments – I think the future of blogging is . . . Looking forward to your thoughts and hope to see you next week in LA.